I wonder what antitrust agency lawyers will make of Oracle's acquisition of Sun. 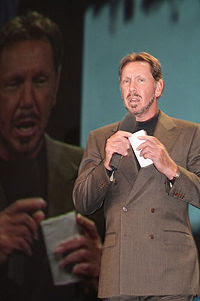 Not that it matters much as Larry Ellison has slain that dragon before. Rumor has it the heads of three lawyers are mounted on the wall of Ellison's office (knew I liked Larry for a reason). 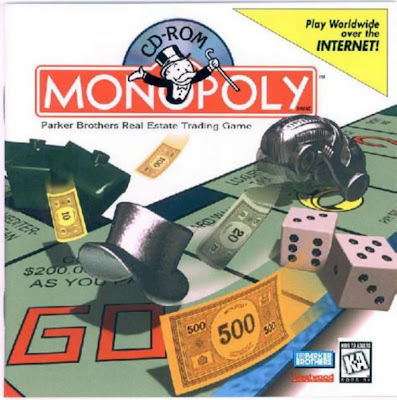 The database market is tiny when measured by the number of serious competitors. Oracle is the king of the enterprise database server beasts while IBM's DB2 or Microsoft's SQL Server holds a tenuous second places (depending on whose measure you use, the common analyst measures being revenues, installations, recent developer involvement, moon phases or the pattern of chicken bones tossed into a fire pit). 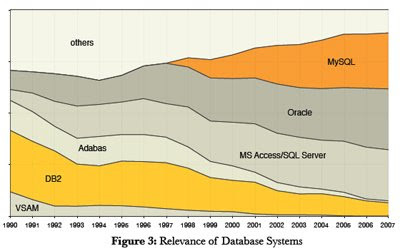 Microsoft's SQL Server has its adherents, but that is largely out of religion for Windows not over-arching trends. Also-rans like Ingress, Sybase and others have receded into obscurity. For enterprise database technology, this is a seriously contracted market and one that would cause any government lawyer to skip their triple martini lunches. Now Larry is buying the bottom of the market. In Sun he also gets MySQL, the Open Source competitor for which Sun overpaid. MySQL not only has absconded with nearly the entire low end of the market (a sector where Oracle never made money nor marketed their wares with any real intent), but it is eating most of the middle ground as well. When I talk to CTOs and ask them about non-mission critical applications, they contentedly use MySQL and forgo the expense of establishing another Oracle instance. That has to annoy Ellison no end (knew I liked MySQL for a reason). In buying Sun, Oracle is significantly consolidating the entire database market, and demonstrably the enterprise database market. Granted MySQL's Open Source nature means Oracle doesn't really control it at all. Larry can't kill it off on a whim. Yet Oracle can influence its growth, support and overall market viability. Oracle can affect MySQL's future. More to the point, the government simply does not like one corporation owning a wide or deep part of any market, and now Oracle has both. It has width - covering one half of the enterprise database market (if you consider Microsoft's SQL Server an enterprise solution) and it has depth now owning - for practical purposes - the bottom and middle via MySQL. Using rough estimates of penetration, we can visualize what most of us instinctively know about this merger - that the number of alternative providers in the market is suddenly smaller. Ignoring for a moment MySQL and the steam venting from Steve Ballmer's ears this morning, the other parts of Sun are equally interesting, both from a market and an antitrust standpoint. Like MySQL, Java is Open Source. But Oracle has a vested interest in Java given the architecture of Fusion and derivatives. With Oracle dominating the enterprise application market and competitors depending heavily on Java for their applications, there is an inherent competitive advantage for Oracle to control the fate of Java. Again, being Open Source, Larry can instigate only limited intrigue, but there is enough leverage to make trouble for his foes. Despite the potential for using SPARC's massive multi-threading chip to create a monster database engine, I cannot seriously believe Oracle wants to get into the server hardware business. X86 architectures are the new norm and if today's VMWare introduction of vSphere 4 is an indication, the cloud is the new mainframe, making SPARC's minor advantage irrelevant. Finally, there is StorageTek, another outfit Sun bled too much cash for (was Jonathan Schwartz secretly on a buying spree for Larry?). All data needs backup, but storage is a highly competitive arena and Oracle prefers fat software margins over skinny and shrinking hardware margins. Spinning off StorageTek is highly likely though who the buyer might be is unclear. Perhaps Oracle will do with StorageTek what EMC did with VMWare and create a beast with two backs. Regardless, we can expect the Fed's to get deeply involved and for Ellison to crush them. Owning control over MySQL and Java are juicy enough for him to play hardball (as if he knows any other way). 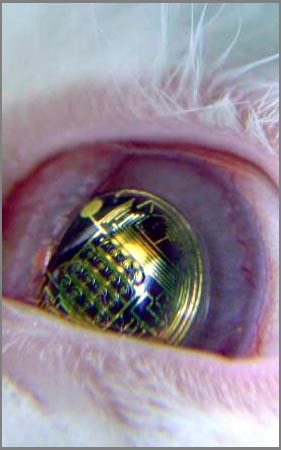 All this time I worried about the technology business being commoditized. I should have been worried about Oracle swallowing it whole.